Public sector net borrowing between April and last month totals £17.8billion, which is £7.8billion – nearly a third – less than the same period last year and the lowest for this period since 2002, said the Office for National Statistics. 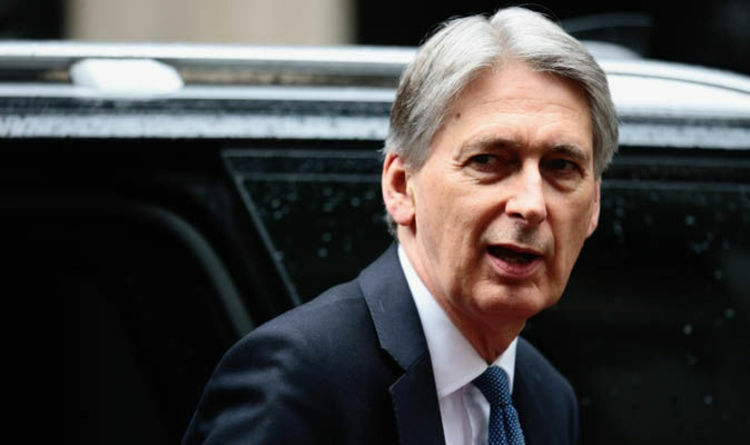 It will provide some comfort to Mr Hammond against further findings last month’s borrowing was well above expectations due to subdued tax income and higher government spending. Public sector net borrowing excluding the bailed-out banks was £2.4billion higher last month, at nearly £6.8billion, than in August 2017. That is the largest August borrowing for two years and was well above the £3.4billion forecast by economists. It also marked the first year-on-year increase in August borrowing for three years. The ONS also revised up slightly the total borrowed in the 2017-18 financial year to April, to £39.9billion, although it remains the lowest since before the 2007 financial crisis. Alastair Neame, senior economist at the Centre for Economics and Business Research, noted that the budget surplus for July 2018, revised up to £3.1billion, plus record high self-assessed income tax receipts in July and August thanks to near-record high employment level, coupled with seasonal variation in borrowing, meant the overall picture was still “largely positive”. Borrowing in the financial year to date was still “comfortably” below that in the last two years, he stressed. But a Brexit outcome that damaged the labour market would be a risk to short-term tax revenues, he added. Samuel Tombs, chief UK economist at Pantheon Macro, said the August figures could make Mr Hammond “a little nervous”. But tax receipts were volatile and borrowing was still likely to be less than forecast at the Chancellor’s spring statement earlier this year. Mr Tombs also predicted the Budget could still contain good news for hard-pressed households. Howard Archer, chief economic advisor to the EY ITEM Club said factors in last month’s borrowing included a sharp increase in payments to the European Union, from £400million in August 2017 to £1billion last month, along with higher public sector investment. He warned Mr Hammond may need to raise taxes or accept higher borrowing in his autumn Budget, if he is to find the billions extra promised for the NHS. Details of the ONS bulletin showed tax receipts rose by 1.6per cent last month to £55.6 billion compared with August 2017, but growth in total expenditure far outstripped this to total £60.4billion. Growth in receipts came from Value Added Tax (VAT), National Insurance contributions and Income Tax. But income from duties on tobacco and alcohol fell compared to last year. Uprating social security benefits was a significant factor in raising government spending, including the “triple lock” state pension guarantee system which saw the payment rise 3 per cent this year. The ONS report triggered a downward shift in the value of the pound against the US dollar and the Euro. Mr Hammond said in response to the ONS report: “Under this Conservative government, borrowing has fallen by £7.8bn in the last year. “Thanks to the hard work of the British people, we are repairing our public finances and building an economy fit for the future. “This month’s numbers are a reminder that we cannot be complacent, and we must continue our balanced approach that is getting debt falling while investing in our vital public services.